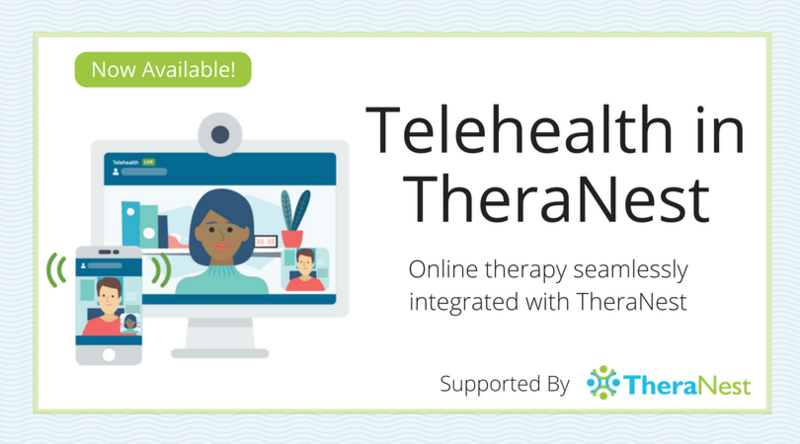 We’re excited to announce that Telehealth has officially launched in TheraNest. You can start scheduling secure, HIPAA compliant video conferencing sessions with your clients right from your TheraNest account. Telehealth in TheraNest eliminates the need for multiple tools that don’t work together. Our new Telehealth feature is fully integrated with TheraNest and our Client Portal. You can now consolidate all of your practice needs into one platform that helps you save you time and money. Our Telehealth feature isn’t only easy to use for you as a provider, but it’s also a breeze for your clients as well. There are no additional downloads needed—your clients can quickly and easily join a session via a unique session link you share with them. Telehealth in TheraNest starts at only $10 per provider per month for unlimited sessions. You have full control over which providers receive access. Secure and HIPAA Compliant: HIPAA compliant video conferencing that you (and your clients) can rely on. Ease of Use for You and Your Clients: Easily schedule telehealth appointments, conduct sessions, and bill from your TheraNest account. Complete Sessions Anywhere: Responsive and app free access – works on phones, tablets, and desktops. Increased Access to Care: Offer your client’s treatment outside of the office and in the comfort of their home. Increase access to care for clients who may be unable to come to an office for treatment because of mobility or accessibility concerns. Granular Audio and Video Control: Providers have full control over the audio and video during their sessions. Clients also have the ability to stop their audio and video at will. Streamlined Billing: Create invoices and superbills for your Telehealth sessions with only a few clicks. Submit insurance claims to approved payers through TheraNest’s insurance claim partners. Plus so much more. Learn about everything Telehealth in TheraNest has to offer here.